No magic yet: Before it was put in water, view from the back. Sometimes this is how stupid I am: I buy things, get a gift with the purchase, keep it away, forget about it or simply don’t use it. 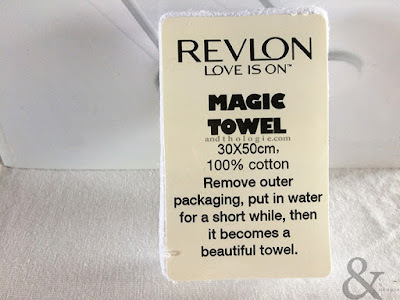 This time I received the Revlon ‘Love is On’ Magic Towel, left it in my closet for a few years. 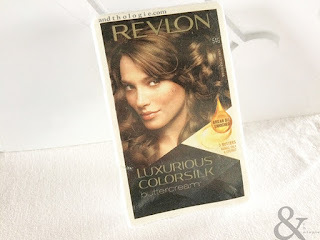 Yes, a few years - a couple at least, because I don’t remember the last time I bought a Revlon product and received a free gift. The thing is, I thought the towel was one of those disposable cleansing facial wipes; and since I‘m very particular with what I use on my face, I thought I wouldn’t need the product. In its protective cover: The frontal view. Until of course I came across it once again in my closet - it wasn’t even hidden - and actually took the time to investigate a little further. I took it out of its protective cover and saw that it was, in fact, probably not a disposable towel. The towel is a cotton facial towel that measures 30cm x 50cm. 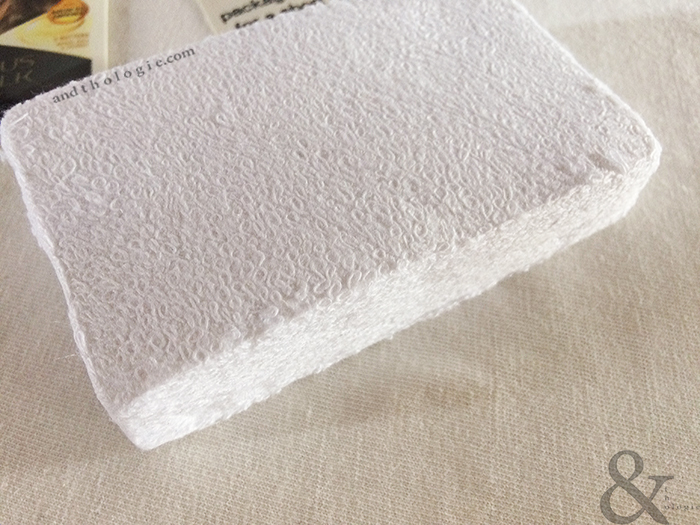 Right out of the plastic cover, it is a white, light rectangular cube. The ‘magic’ is that the cube expands in size when soaked in water and becomes a rectangular facial towel. It’s made of cotton, soft, quite thin but not too flimsy. Of course, I’m the only one excited about this video because it’s mine and it’s the first time I have published on YouTube, or anywhere online for that matter. Everything is so silly. I laughed all the way watching the video again. The whole process took about ten minutes to record and was handheld. I got a bowl that proved too small for the towel; I did not see the measurements on the print - actually I might have seen it but the size simply did not register in my mind. The transforming of the cube into towel should have been a bit shorter; at around six minutes [or even earlier than that] I could have forced the towel open but waited around two minutes more to do so. And finally, after a bit of poking and squeezing, I got a full-sized facial towel. To see how it turned out, you will have to subject yourself to about a couple of minutes of torture and watch the video. And all I have is a facial towel. Shame on me! *Some refer to the bottle as heart-shaped, I think it's a pair of lips - notice the uneven upper and lower portion; and the curve of the line that runs through the middle. But I'll admit that the way it sits makes it appear so, if you turn it sideways it does look like a heart. Maybe it's both?